Bonsai is known as the traditional Japanese art of planting a miniature tree in small containers. 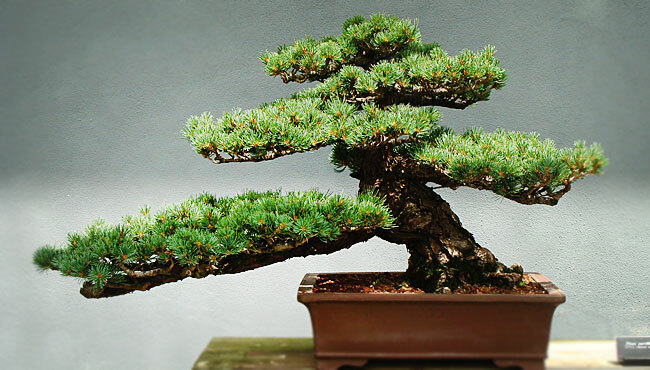 Originating from China, the Japanese have adopted and further developed the practice of bonsai. For the Japanese, it was a representation of Zen Buddhism as it highlighted the importance of harmony between man, soul, and nature. Over time bonsai trees started gaining recognition outside of Japan as an example of minimalism. I’m sure many of you may have heard of a bonsai. – But have you ever heard about a BonsAI? Artificial Intelligence is everywhere. From social media to cars, Artificial Intelligence is taking the world by storm. TDK, a Japanese comprehensive electronic manufacturer has created a bonsai tree with a built-in Artificial Intelligence. BonsAI is pretty much everything you could have hoped for. It’s a bonsai tree that walks, talks and even lights up. Never thought you could have a conversation with a plant? Well, think again. Bonsai trees have been around for some time and are a little bit smarter than us. If you pop a question or a concern that’s been nagging you, your BonsAI will provide you wise words of wisdom. Don’t underestimate BonsAI, it has accumulated knowledge from all around the world and is bound to give you some good piece of advice. When the BonsAI is in a shadow, it will start to move around in search of sunlight. Once it finds itself under the sun, the LED lights on the BonsAI’s pot will light up showing its satisfaction. If you thought the BonAI was completely independent, you’ll be proven wrong. When the BonsAI’s thirsty, it will start looking for water and also start blinking its lights to show you that it needs water. BonsAI is the perfect alternative pet for those who can’t be bothered with a high maintenance furry companion. ① Soil Sensor: Senses how dry the soil is. ③ LED: The LED panel acts as a way for the BonsAI to express its emotions. ④ Speaker: For when you need to chat with your plant buddy. ⑤ 9-Axis-Sensor: One of TDK’s prominent original technologies. The 9-axis-sensor acts as a stable walking mechanism. ⑥ Thin-film Solar Cell: The solar cell becomes a source of energy for the tree and also acts as a light sensor. ⑦ Wireless Battery Charging: Using this wireless battery BonsAI can recharge itself without a plug. ⑧Base: The base acts as perhaps the “brain” for the BonsAI. The base contains a microcomputer that controls the motion and conversation of the bonsai tree. One surprising fact is that this base weighs over 20kg. Curious about what happens when technology meets nature? Check out the promotional video below to see how BonsAi actually works. BonsAI is a part of TDK’s “Attracting Tomorrow Project”, a project that showcases TDK’s original technology. TDK is dedicated to making advancement that break through the limitations of today’s technology. The main aim of this project is to create innovative things that will bring us closer to the future. BonsAI was created as part 2 of the project. To learn more about previous and upcoming details take a look at TDK’s website. At the moment, there is no official word from TDK on a commercial release for BonsAI. Until the day comes we’ll just have to wait with anticipation. Akira Ymaguchi Next Japanese Modan Woodblock Print Artist!